7.30pm, Cerne Abbas Village Hall. £6. As part of the Cerne Festival. Full powerpoint presentation based on Peter’s ground-breaking book about the ID, age, astronomy and landscape mysteries of the hill figure. South Herefordshire Dowsers. See their website for details of meetings. The Henge Shop, Avebury, Wiltshire. Noon. £5. An intriguing powerpoint presentation about the meanings of this ancient fire festival. Includes prehistoric Beltaine alignments, the Cerne Giant, the amorous activities of ancient fertility gods and goddesses, the St Michael Line (a Beltaine alignment), and modern revivals around May Day, such as the Obby ‘Os at Padstow, May kings and Queens, well dressings, maypoles and Morris Dancing. Another of Peter’s well-loved evening shamanic gatherings, inside the 5,500 year-old Neolithic chambers of the long barrow near Avebury. Includes drumming, chanting, meditation/silent time, and Earth-healing. Only £5. Booking essential, as numbers are limited. A morning of dowsing the energies of the St Michael Line where they converge on this Neolithic site. Plus some barrows on the Ridgeway too. Free event, led by Peter and hosted by the Wyvern Dowsers. An afternoon exploring and experiencing the famous prehistoric chalk figure and the powerful Dragon Hill, on the Oxon/Berks border. Will include dowsing the female and male currents of the Belinus Line, meditation, and earth-healing on the hill. £10 for the afternoon. An afternoon event at this powerful Neolithic henge that was later Christianised with a church at its heart. It stands at the intersection of several alignments that Peter describes in his ‘Ancient Stones of Dorset’ book. We shall dowse the multiple energies that flow through the site, and seem to congregate in the ruined church, as well as flowing between two ancient yews. Peter discovered a megalith in the fabric of the church that was once one of the megaliths of a stone circle there. We shall dowse, do a silent meditation, and walk in procession around the henge banks, accompanied by drumming. Only £10 for the afternoon. Booking essential. Dolmen Grove Pagan Moot, Dolmen Grove Moot, Heathfield Arms, Fareham, Hampshire. Open to non-members. 7.30pm. This walking afternoon tour explores the ancient Saxon capitol of Wessex, once also a prehistoric sacred place. The energies of the Belinus Line flow through the town, and some ancient megaliths even survive today. Includes ‘Arthur’s Round Table’, the Cathedral grounds, megaliths around the city, an ancient cross, the castle remains, a hidden sacred well, and more! £10 for the afternoon. Booking essential. The Wessex Research Group, Weymouth, Dorset. Presented with Sue Wallace. 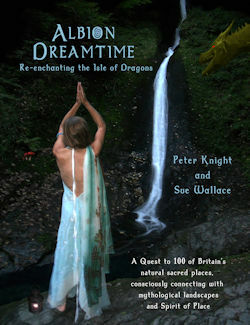 This powerpoint presentation is based on Sue and Peter’s new, full colour book about their journeying and experiences of 100 of Britain’s magical, natural sacred Goddess places. Across England, Wales and Scotland, they chanted, drummed, dowsed, meditated and re-enchanted these ancient numinous places, which include waterfalls, fairy glens, rocking stones, ancient forests, dark caves and sacred rock outcrops. They suggest that it was to such sacred places as these that Albion’s earliest visitors and inhabitants went to contact the spirit of the land and their ancestors. Sue and Peter advocate that these places need to be visited today for personal transformation, as well as to be revered and healed, in these challenging times. 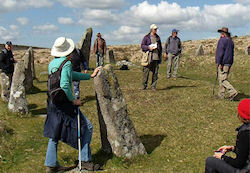 Based on Peter’s groundbreaking book, Dartmoor Mindscapes – Re-Visioning a Sacred Landscape. Two days of walking and connecting with the energies and ancestors of the moor, visiting tors, interacting with sacred sites, simulacra, balanced stones, holed stones, drinking sacred water from rock basins, drumming under granite overhangs. 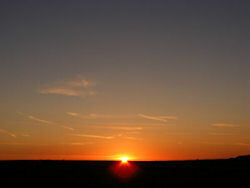 Includes meditations, dowsing, and an evening walk to see sunset and the almost-full moon rise. This time we will explore the east side of the moor (sites to be confirmed soon). Only £40 per day (or the whole weekend for £75). Booking essential for this popular event – numbers are limited. Non-residential – there are plenty of B&Bs locally and camping. Note: this weekend is repeated on Aug 31-Sept 1st. With Sue Wallace. At the Big Green Gathering, Wye Valley. 2.30pm. This is based on Sue and Peter’s new, full colour book about their journeying and experiences of almost 100 of Britain’s magical, natural sacred places. Across England and Wales, Scotland and Isle of Man, they chanted, drummed, meditated and re-enchanted these ancient sacred sites, which include waterfalls, fairy glens, rocking stones, ancient forests, caves and sacred rock outcrops. They suggest that it was at such sacred places as these that Albion’s earliest visitors and inhabitants went to contact the spirit of the land and their ancestors. Sue and Peter advocate that these places need to be visited and revered again, in these challenging times. With Sue Wallace. Noon at the Henge Shop, Avebury, Wiltshire. This is based on Sue and Peter’s new, full colour book about their journeying and experiences of almost 100 of Britain’s magical, natural sacred places. Across England and Wales, Scotland and Isle of Man, they chanted, drummed, meditated and re-enchanted these ancient sacred sites, which include waterfalls, fairy glens, rocking stones, ancient forests, caves and sacred rock outcrops. They suggest that it was at such sacred places as these that Albion’s earliest visitors and inhabitants went to contact the spirit of the land and their ancestors. Sue and Peter advocate that these places need to be visited and revered again, in these challenging times. A leisurely, but profound walk through the landscapes of Avebury. We shall walk to West Kennet Long Barrow (for shamanic drumming and connecting), view Silbury Hill, ascend Waden Hill, and walk along the avenue of megaliths, ending at the stone circle to do Earth-healing. 3 mile walk (with one brief, steep ascent). Only £10 for the afternoon. Booking advised. 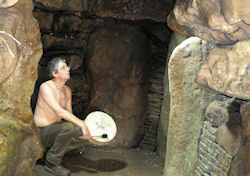 King Arthur’s Caves are an Albion Dreamtime location, hidden in woods in the Forest of Dean, Gloucs. Come and join us for an afternoon of ritual and connecting, inside these magical, multi-chambered caves, midst the Wye Valley. The site was used by our prehistoric ancestors and is a very powerful portal. Afternoon includes drumming, chanting, meditation and Earth-healing. Only £10. Booking essential. Numbers limited. Bring a drum and your voice! An afternoon of dowsing the serpent energies of the famous and powerful St Michael Line as they snake through the world’s largest stone circle. The Michael and Mary currents of the line will be dowsed and experienced, as well as the auras and symbolism of the huge stones explored. Will shall end with Earth-healing. No experience necessary. Dowsing rods and pendulums provided. Only £10. Booking essential. Based on Peter’s groundbreaking book, Dartmoor Mindscapes – Re-Visioning a Sacred Landscape. Two days of walking and connecting with the energies and ancestors of the moor, visiting tors, interacting with sacred sites, simulacra, balanced stones, holed stones, drinking sacred water from rock basins, drumming under granite overhangs. Includes meditations, dowsing, and an evening sunset walk. This time we will explore the east side of the moor (sites to be confirmed soon). Only £40 per day (or the whole weekend for £75). Booking essential for this popular event – numbers are limited. Non-residential – there are plenty of B&Bs locally and camping. The Wharf, Tavistock, Devon. Peter’s 4th presentation to this popular, well-attended group. Large screen presentation. Open to the public (small charge on door includes refreshments). This lunchtime talk (co-presented with Sue Wallace) is based on Sue and Peter’s new, full colour book about their journeying and experiences of 100 of Britain’s magical, natural sacred places. Across England, Wales and Scotland, they chanted, drummed, dowsed, meditated and re-enchanted these ancient sacred sites, which include waterfalls, fairy glens, rocking stones, ancient forests, caves and sacred rock outcrops. They suggest that it was to such sacred places as these that Albion’s earliest visitors and inhabitants went to contact the spirit of the land and their ancestors. Sue and Peter advocate that these places need to be visited and revered again, in these challenging times. The Wellspring Group, Rode, Wiltshire. With Sue Wallace. This powerpoint presentation is based on Sue and Peter’s new, full colour book about their journeying and experiences of 100 of Britain’s magical, natural sacred places. Across England, Wales and Scotland, they chanted, drummed, dowsed, meditated and re-enchanted these ancient numinous places, which include waterfalls, fairy glens, rocking stones, ancient forests, dark caves and sacred rock outcrops. They suggest that it was to such sacred places as these that Albion’s earliest visitors and inhabitants went to contact the spirit of the land and their ancestors. Sue and Peter advocate that these places need to be visited today for personal transformation, as well as to be revered and healed, in these challenging times. Sue and Peter will also have their stand at the event throughout the weekend. Tavistock History Society, Tavistock, Devon. Based on Peter’s latest book, about his experiences and discoveries concerning the moor’s landscapes and sacred sites, and their connection with the tors, and how we might shamanically connect with landscapes today. Torbay Interfaith, Quaker Meeting House, 48 Tor Bay Hill, Torquay, TQ2 5RT, Devon. Based on Peter’s latest book, about his experiences and discoveries concerning the moor’s landscapes and it’s sacred sites, and their connection with the tors, and how we might shamanically connect with landscapes today. With Sue Wallace. Slimbridge Dowsers, Dursley, Gloucestershire. Lunchtime talk. This is based on Sue and Peter’s new, full colour book about their journeying and experiences of 100 of Britain’s magical, natural sacred places. Across England and Wales, Scotland and Isle of Man, they chanted, drummed, meditated and re-enchanted these ancient sacred sites, which include waterfalls, fairy glens, rocking stones, ancient forests, caves and sacred rock outcrops. They suggest that it was at such sacred places as these that Albion’s earliest visitors and inhabitants went to contact the spirit of the land and their ancestors. Sue and Peter advocate that these places need to be visited and revered again, in these challenging times. Another of Peter’s well-loved and profound evening shamanic gatherings, inside the 5,500 year-old Neolithic chambers of the long barrow near Avebury. Includes drumming, chanting, meditation/silent time, and Earth-healing. Only £5. Booking essential, as numbers are limited. Glastonbury Positive Living Group, Town Hall, Glastonbury. This illustrated talk (co-presented with Sue Wallace) is based on Sue and Peter’s new, full colour book about their journeying and experiences of 100 of Britain’s magical, natural sacred places. Across England, Wales and Scotland, they chanted, drummed, dowsed, meditated and re-enchanted these ancient sacred sites, which include waterfalls, fairy glens, rocking stones, ancient forests, caves and sacred rock outcrops. They were gifted insights and poetry by spirit; it was to such sacred natural places as these that Albion’s earliest visitors and inhabitants went to contact the spirit of the land and their ancestors. Sue and Peter advocate that these places need to be visited and revered again, in these challenging times. With Sue Wallace. An afternoon exploration, at the equinox, of the ancient trees of this Wiltshire forest, near Marlborough. This is one of the places in the new ‘Albion Dreamtime’ book. Walk includes deep connecting with some of the forest’s huge, ancient oaks and beeches, with meditation and gentle drumming. A gentle, level, 2 mile woodland walk. £10 for the afternoon. Booking advised. Bouverie Hall, Pewsey, Wilts. Five international speakers. Tickets on sale early in 2019. Last year’s event was sold out! 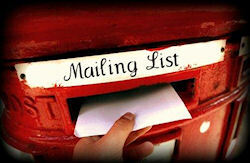 See the special page on this website for the line-up of this exciting international convention. Tickets now on sale! Led by Peter, and hosted by Somerset Dowsers. More details from them. Crewkerne Awareness Group, Crewkerne, Somerset. Co-presented with Sue Wallace. This is based on Sue and Peter’s new, full colour book about their journeying and experiences of 100 of Britain’s magical, natural sacred places. Across England, Wales and Scotland, they chanted, dowsed, drummed, meditated and re-enchanted these ancient sacred sites, which include waterfalls, fairy glens, rocking stones, ancient forests, caves and sacred rock outcrops. They suggest that it was at such sacred places as these that Albion’s earliest visitors and inhabitants went to contact the spirit of the land and their ancestors. Sue and Peter advocate that these places should be visited once more, in these challenging times. West Wales Dowsers, Bronwydd Village Hall, Carmarthenshire. An afternoon talk based on Sue and Peter’s new, full colour book about their journeying and experiences of 100 of Britain’s magical, natural sacred places. Across England, Wales and Scotland, they chanted, dowsed, drummed, meditated and re-enchanted these ancient sacred sites, which include waterfalls, fairy glens, rocking stones, ancient forests, caves and sacred rock outcrops. They suggest that it was at such sacred places as these that Albion’s earliest visitors and inhabitants went to contact the spirit of the land and their ancestors. Sue and Peter advocate that these places need to be visited and revered again, in these challenging times. The Mind Body Spirit Show, Wickham Centre, Wickham, Hampshire. With Sue Wallace. This powerpoint presentation is based on Sue and Peter’s new, full colour book about their journeying and experiences of 100 of Britain’s magical, natural sacred places. Across England, Wales and Scotland, they chanted, drummed, dowsed, meditated and re-enchanted these ancient numinous places, which include waterfalls, fairy glens, rocking stones, ancient forests, dark caves and sacred rock outcrops. They suggest that it was to such sacred places as these that Albion’s earliest visitors and inhabitants went to contact the spirit of the land and their ancestors. Sue and Peter advocate that these places need to be visited today for personal transformation, as well as to be revered and healed, in these challenging times. Sue and Peter will have their stand at the event all weekend. Trencrom Dowsers, Cornwall. This illustrated talk (co-presented with Sue Wallace) is based on Sue and Peter’s new, full colour book about their journeying and experiences of 100 of Britain’s magical, natural sacred places. Across England, Wales and Scotland, they chanted, drummed, dowsed, meditated and re-enchanted these ancient sacred sites, which include waterfalls, fairy glens, rocking stones, ancient forests, caves and sacred rock outcrops. They were gifted insights and poetry by spirit; it was to such sacred natural places as these that Albion’s earliest visitors and inhabitants went to contact the spirit of the land and their ancestors. Sue and Peter advocate that these places need to be visited and revered again, in these challenging times. Tamar Dowsers, North Hill, Cornwall. Afternoon. This illustrated talk (co-presented with Sue Wallace) is based on Sue and Peter’s new, full colour book about their journeying and experiences of 100 of Britain’s magical, natural sacred places. Across England, Wales and Scotland, they chanted, drummed, dowsed, meditated and re-enchanted these ancient sacred sites, which include waterfalls, fairy glens, rocking stones, ancient forests, caves and sacred rock outcrops. They were gifted insights and poetry by spirit; it was to such sacred natural places as these that Albion’s earliest visitors and inhabitants went to contact the spirit of the land and their ancestors. Sue and Peter advocate that these places need to be visited and revered again, in these challenging times. Peter guides us around the stones of Avebury by torchlight, viewing their symbolism of mythic animals and stone faces under darkness, plus ancient alignments with the stars, and hopefully we shall do some stargazing! Only £5. Meet outside Red Lion, Avebury, 5pm. Bring a torch! Only £5. Children Free. With Sue Wallace. Wyvern Dowsers, The Woodshaw, Royal Wotton Bassett, Wiltshire. 7.30pm. This is based on Sue and Peter’s new, full colour book about their journeying and experiences of 100 of Britain’s magical, natural sacred places. Across England and Wales, Scotland and Isle of Man, they chanted, drummed, meditated and re-enchanted these ancient sacred sites, which include waterfalls, fairy glens, rocking stones, ancient forests, caves and sacred rock outcrops. They suggest that it was at such sacred places as these that Albion’s earliest visitors and inhabitants went to contact the spirit of the land and their ancestors. Sue and Peter advocate that these places need to be visited and revered again, in these challenging times. The Gatekeeper Trust Conference, Pewsey, Wiltshire. With Sue Wallace. This powerpoint presentation is based on Sue and Peter’s new, full colour book about their journeying and experiences of 100 of Britain’s magical, natural sacred places. Across England, Wales and Scotland, they chanted, drummed, dowsed, meditated and re-enchanted these ancient numinous places, which include waterfalls, fairy glens, rocking stones, ancient forests, dark caves and sacred rock outcrops. They suggest that it was to such sacred places as these that Albion’s earliest visitors and inhabitants went to contact the spirit of the land and their ancestors. Sue and Peter advocate that these places need to be visited today for personal transformation, as well as to be revered and healed, in these challenging times. Sue and Peter will also have their stand at the event throughout the weekend. Peter’s well-loved and profound midwinter shamanic gathering, inside the 5,500 year-old Neolithic chambers of the long barrow near Avebury. Includes drumming, chanting, meditation/silent time, and Earth-healing. Only £5. Booking essential, as numbers are limited. Perfect for your gathering, Peter makes the connection between our sacred land and music. Excellent interviews with the BBC and on YouTube.